Here we aim to show you the progress of our work day by day during our working year – similar to a Diary. 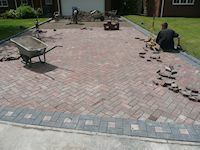 Obviously this will depend on our project at the time which can vary greatly from a small pathway taking just one day to a complete garden landscape which can take weeks. 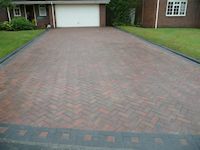 Job Description: To supply and lay a Marshalls Driveline 50 in Brindle with a charcoal border with charcoal KS edgings. 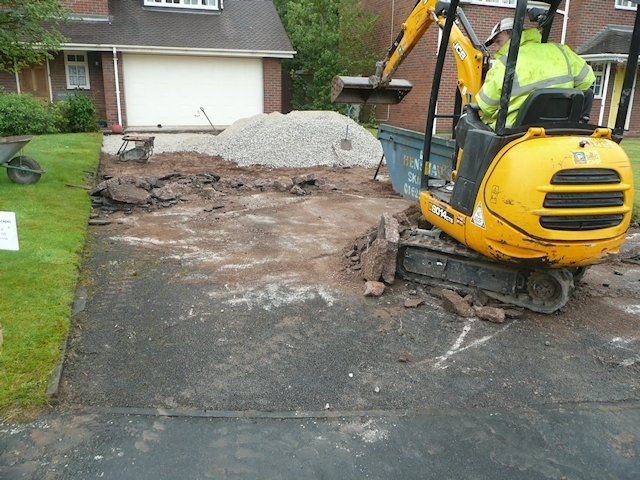 To dig out the existing tarmac drive and remove the spoil from site. To install the stone sub base and compact using a compactor plate and to install the KS edgings. 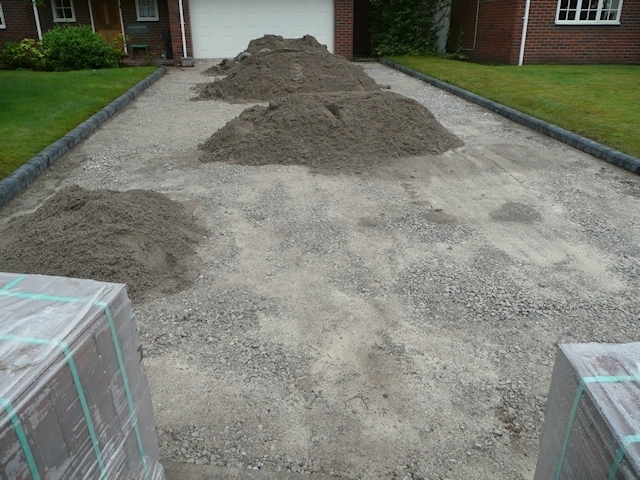 The grit sand has been delivered in preparation for laying the blocks. 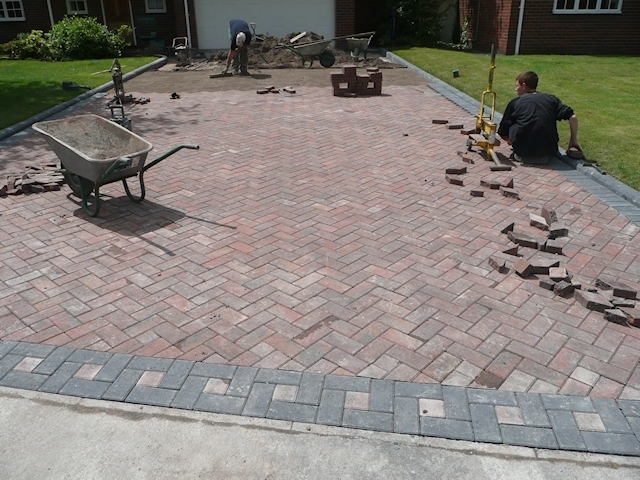 To screed out the grit sand and lay the blocks onto the prepared bed in a herringbone design. The outer bricks are cut neatly to fit. 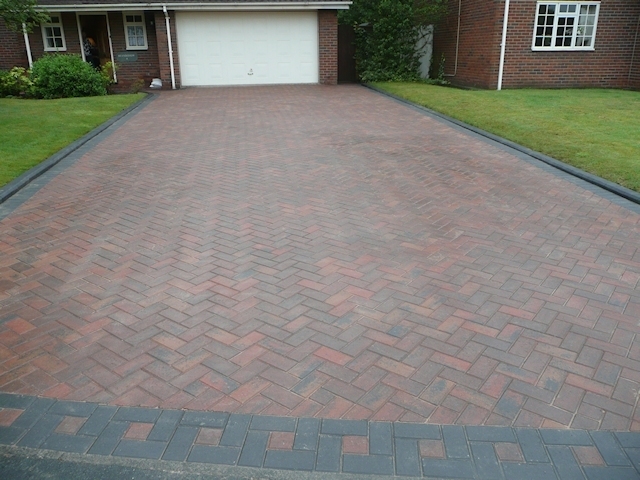 The remainder of the drive is laid, kiln dried sand is compacted into the joints, and the drive is completed.